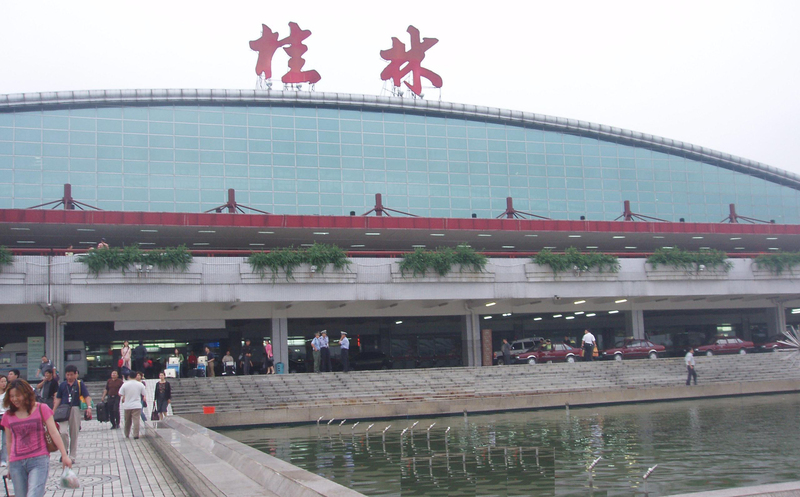 Guilin Liangjiang International Airport (IATA: KWL, ICAO: ZGKL) (桂林两江国际机场), is the airport serving Liangjiang, about 28 km (17 miles) southwest from Guilin City, Guangxi, in the People’s Republic of China. During World War II, the airport was known as Kweilin Airfield and was used by the United States Army Air Forces Fourteenth Air Force as part of the China Defensive Campaign (1942–1945). Kweilin was the headquarters of the 23d Fighter Group, the "Flying Tigers" during late 1943 and through most of 1944 and also its command and control unit, the 68th Composite Wing. The unit flew P-40 Warhawk and later P-51 Mustang fighter bombers from the airport, attacking Japanese targets and supporting Chinese army units. In support of the combat units, Kweilin was also the home of the 8th Reconnaissance Group, which operated unarmed P-38 Lightning aircraft equipped with an array of mapping cameras to gather intelligence over Japanese-held areas. The Flying Tigers departed the base in late 1944, being replaced by elements of the Chinese-American Composite Wing (CACW), which flew B-25 Mitchell and P-51 Mustang fighters from the airport on combat missions until the end of the war in September 1945. The Americans closed their facilities after the war ended in September, 1945.